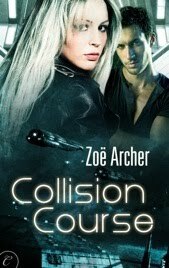 Welcome back to Zoe as she puts out another fabulous book, COLLISION COURSE, a sci-fi romance. 1. 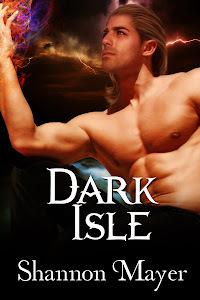 You've written both paranormal and sci-fi romance, do you have a preference for one or the other? Any reason why? I really do love them both. With my paranormal historicals, I get to infuse the past with magic, and with sci-fi, I get to live out all the science fiction fantasies I've had since I was a kid (though with a decidedly adult twist). 2. What made you want to start writing romance? Romance writers are all first romance readers. I began reading romance in high school, and fell hard for the combination of historical settings with emotionally charged stories, complete with happily ever after endings. It didn't take long for me to try my hand at writing romance, though those early efforts are fortunately lost to time. Even after I received an MFA in Fiction, I continued to write romance. I love the stories, the setting, and the achieved promises of happiness. There isn't much in life that can fulfill that promise, so I try to provide it where I can. 3. You're female characters are strong, smart and independent, the kind of woman I think most of us want to be like. How important is it that your heroines are the kind of woman that your readers can look up to? Extremely important. There's a definite amount of wish fulfillment in my writing, and I try to embody qualities I respect in my heroines. Especially in adventure narrative, I despise depictions of weak, helpless women. Spare me the shriekers and fainters. Popular culture has had some wonderful depictions of strong women, but they're far too rare, in my opinion. And in romance, we get so invested in the heroes, but the heroines are equally important. They aren't just ciphers. They need to be as actualized and developed as the heroes. And if even one reader feels empowered by reading my books, I feel I've done a good job. 4. Have you got another type of romance that you would like to dabble in besides the sci-fi and paranormal? I will be writing a series of steampunk romance novellas for Avon Impulse, the digital imprint of Avon, so I have to say I'm pretty fulfilled in my choice of subgenres! But I'm always looking around for new worlds, new ideas. There's always more to write! 5. Do you have plans to step outside of the romance genre? I've already been published in literary fiction. Writing under my real name, Ami Silber, my novel EARLY BRIGHT came out in 2008 and will be re-issued by Amazon Encore very soon. That novel is set in 1948 Los Angeles. I also have written several chapters of a historical fiction novel, which is set in the Eighteenth Century, yet finding time to work on it is very, very difficult. Some day, I hope to get back to it, but the romance is keeping me extremely busy--which isn't a complaint, by the way. 6. I haven't had the opportunity to read Collision Course, your newest release yet (I'm very excited as I loved your Blades of the Rose series!) do you have plans to turn this sci-fi romance into a series as well? Absolutely! The next book in the series, CHAIN REACTION, will be released by Carina on November 28. 7. More into the craft of writing, how long do you spend each day actually writing? Is it a time amount that you give yourself or is it a word count? I write all day, every day. Fortunately, I am able to write full time, so I can dedicate my entire day to it. I try to maintain a minimum word count of 2000 words per day, but now that I have so many books lined up (my new paranormal historical HELLRAISERS series for Zebra, which launches in December, the sci-fi romance, and the steampunk romance), I'll have to bump that up considerably. There will be much consuming of caffeine. 8. I see a lot of people struggle with the completion of a novel, the beginning seems to be the easy part. Any suggestions for young writers on completing a novel? The only way to finish a novel is to sit down and write it. Surfing the internet or watching Netflix will not get your novel completed. Make a hard schedule and stick to it. It's far too easy to let things get in your way, which is why most people never finish their books. So, if this is something you truly want, make it happen for yourself. Thank you Zoe for taking the time out of your busy schedule to have a chat with me, it is always a pleasure and I wish you the best of luck in your conituned writing success. If you'd like a chance to win one of Zoe's books, it's as simple as leaving a comment about this post. Open to residents of Canada and the USA only. Wonderful interview, Shannon! I love the fact that female heroins in Zoe Archer's books are tough and independent, these the kind of heroins I love to read about! I really dislike winy and weak characters, so thank God for writers like Zoe! Would love to read this book in the future, thank you for this amazing giveaway! Err, that's supposed to be "com" not "come"... LOL!